Spearheaded by the older guard, the Cypriot wine scene's transformation during the past decade has led to the appearance of new players who have rapidly established themselves and contributed their own creative touches to The Rock's wine. 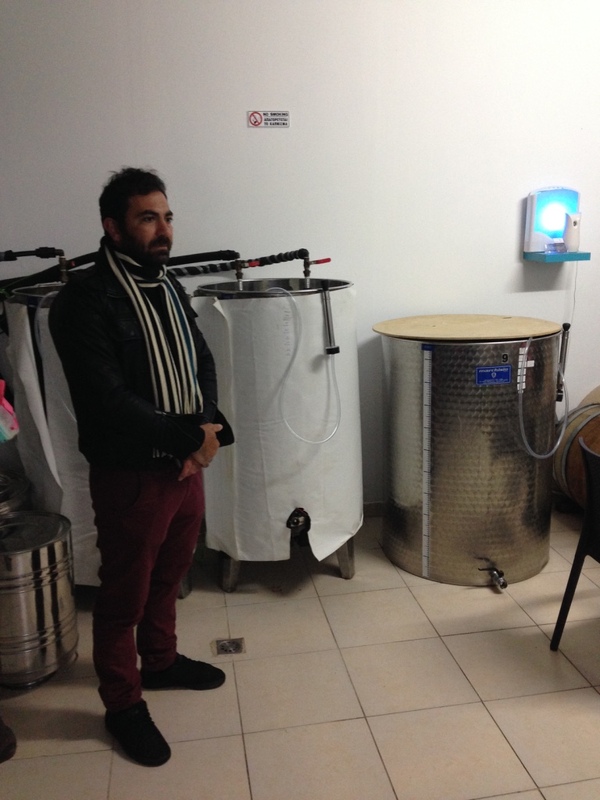 One of these young 'uns is Christos Vassiliades, mastermind behind Vassiliades Expressions Winery in Chandria. 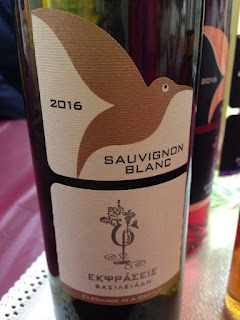 I had the good fortune of paying him a visit on a frigid night back in February and left impressed by the quality of his dry Xynisteri, Sauvignon Blanc and dessert wine made with botrytized Xyn. Besides producing the only (I think) single varietal Cabernet Franc in Cyprus (one I haven't had the chance of sampling), what left me in awe of Christos' gun-ho attitude is that he had the cojones to plant that fickle damsel known as Pinot Noir at a very high altitude in the dear hope that it pans out. Here, Christos talks to us about his passions, plans and personal favourites. Christos Vassiliades (CV): For me, wine is a cultural symbol and a sign of progress. It forms the path that connects tradition and avant-garde innovation. Wine is also a timeless delectation, the result of a constant flirtation between the earth and the vineyard. Wine cultivation is the interface, which creates mythical stories, traditions and legends. CV: The first wine that captured my attention and is always on my mind because it reminds me of my childhood and my family’s tradition is my grandmother’s wine. She’s both my tutor and inspiration. She has been a winegrower working with traditional urns, and the pleasant scent of her basement during the fermentation period is the most indelible memory of my life. CV: My all-time favourite bottle of wine is the Antonin Rodet Bourgogne Pinot Noir. An exceptional Pinot Noir produced by an important winegrower in Burgundy. It’s an amazingly balanced objet d’art with the essential elements of elegance of a Pinot Noir. I am grateful because I have the opportunity to not only taste it but also procure it in Cyprus. CV: My favourite wine-producing region is Sonoma County in California. A polymorphic region, both geologically and climatically, that helps it produce wines with special characteristics: a huge variety of wines in different styles and ideal for every occasion. It is actually quite impressive the way this region produces wines of the highest quality such as Pinot Noir, Chardonnay and Zinfandel. CV: If I take into account the variety available in the international culinary and wine scene, there are innumerable ‘pairings’ and, by extension, answers to your question. So I would prefer stating the Cypriot variety called Maratheftiko, which perfectly matches beef liver on the grill or even better on the barbeque. 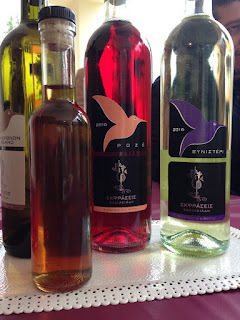 I would not omit to mention the combination of our winery’s dessert wine “HW,”a late harvest botrytized Xynisteri that makes a perfect match with every single traditional Cypriot dessert from fruity spoon sweets to syrupy ones. CV: Personally, I am convinced that if local winemakers had the same approach towards issues like our understanding, our cultivation, the vinification and the better promotion of indigenous varieties, even the forgotten ones, it would be a huge step forward for the quality of our wine production at a national level. As a result, Cypriot wines would be better promoted and, as a consequence, they would be treated better abroad. CV: Lately, in Cyprus, interest in the wine industry has increasingly developed, and this is very promising for the future of the local industry. Despite the progress made, there´s still a long way to go to reach our objectives, which is no other than to create a strong vinous education on the island. For a country with such winemaking tradition and historical background, it is almost obligatory for us to get to know wine better and in a less superficial way. We will never achieve our aim if customers, consumers and professionals won’t pay the attention required. Cyprus’s wine industry improves day by day. It is crucial for rising winemakers to have a plan and a philosophy in order to contribute to and facilitate the resurrection of the Cypriot vineyard. Exporting wine means exporting culture. Therefore, wine is not just a common product of alcoholic consumption but a piece of art that involves vision, knowledge, passion and aesthetics. For a country like Cyprus, because of the limited range of wines, improving the current situation is very difficult and requires so much effort from the wine industry’s professionals. CV: The most enjoyable time of the year is the harvest period. It is the moment you realise that all of your hard work during the year finally pays off, and you come face to face with both the past and the future. That feeling is indescribable. You finally ‘decode,’ smell and taste your own brainchild, a creation you can experience with all of your senses. CV: The philosophy that encloses the establishment of our business is very clear and simple. Our winery ‘Ekfraseis’ attempts to take advantage of the great geological and morphological conditions of the area as best as possible. The Pitsilia area’s aforementioned conditions and especially the Madari mountain where our winery is primarily located give us the ability to successfully cultivate our indigenous, international and Greek varieties such as Mavro, Maratheftiko, Xynisteri, Sauvignon Blanc, Pinot Noir, Syrah, Cabernet Franc and Assyrtiko, and expand the local oenophile public’s choices. The future plan for the business is to keep up the hard work and one day expand the amount of the production based on the capacity of the vineyard, but I prefer taking one step at a time. CV: My favourite wine personality is Dr. Richard Smart, the Australian viticulturist whose aid has provided a real breakthrough in numerous aspects of modern viticulture at an international level. He is the creator and the inspirer of many modern trellis systems and scientifically proven ways of growth management and quality improvement of the crop. CV: In a Mediterranean island like Cyprus, with high temperatures throughout the year and an extended summer period, I would strongly recommend white and rosé wines with a light and fruity flavour. They can easily replace summer cocktails that are often consumed during the summer. I wouldn’t say no to a light red wine, even if it’s mainly imported to Cyprus because, as we all know, the variety of local red wines is much more intense that the ones imported, but there is always room for exceptions to the rule. You can reach Christos via Facebook and Instagram. What a fascinating and highly informative interview! The changing wine scene on the island of Cyprus brings with it a great deal of excitement. I have sampled most of the Vassiliades Ekfraseis labels, but the botrytized Xynisteri has evaded me. More reason to visit again. I can't wait to see what Mr Vassiliades will do next!